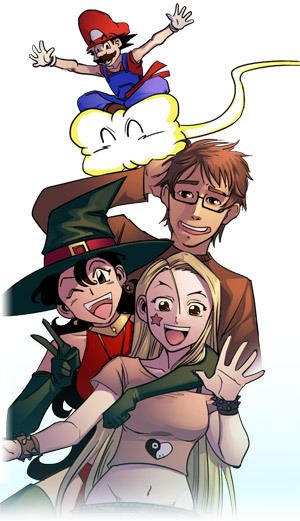 Why publish your comic on Amilova? 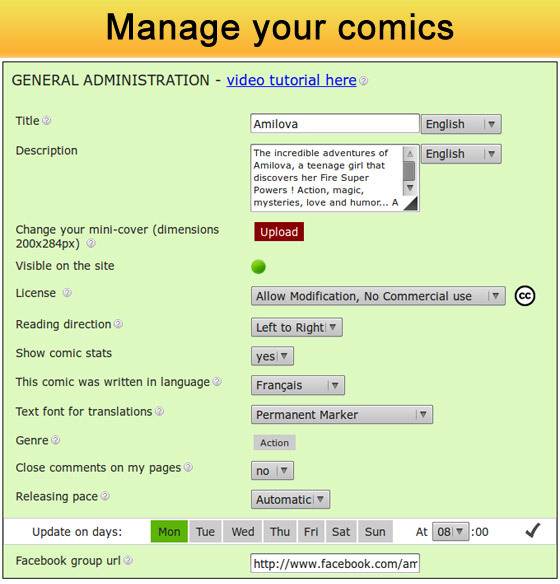 How to publish a comic on Amilova? 1. Present your works on the message board. 2. Contact the administrator TroyB by private message. Once your comic is validated (or not), he will get back to you. Please contact the admin only after publishing your portfolio on the message board, or if you have a link to another online portfolio. Please note that we receive many submissions every day, but since we have to keep high standards of quality, not everyone can publish their comic on Amilova. Don't hesitate to contact us though! New talented artists are always welcome on amiova.com! 3. Once your comic is validated you can ask the admin to integrate the Premium collection if your comic is meeting quality and quantity expectations. Contact directly TroyB for more informations. You could eventually become a part of the Amilova Premium and be paid for your work. As a publishing platform, Amilova is the place to be for you. 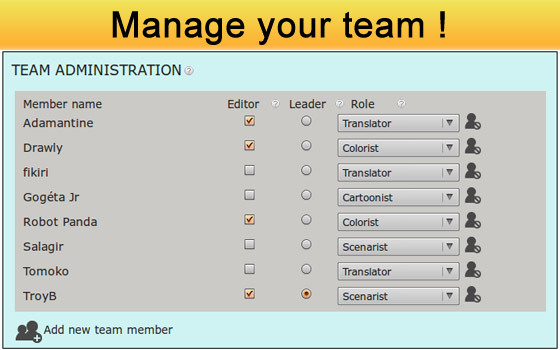 You can publish your comics or to have a comic strip and to use the site as your portefolio. 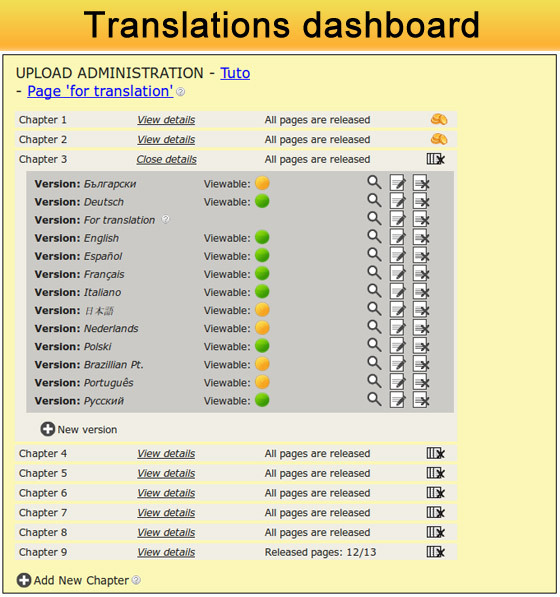 With thousands of members, it's easier for you to find your public, to find translators and to be part of the Amilova Premium for the Pro Authors. 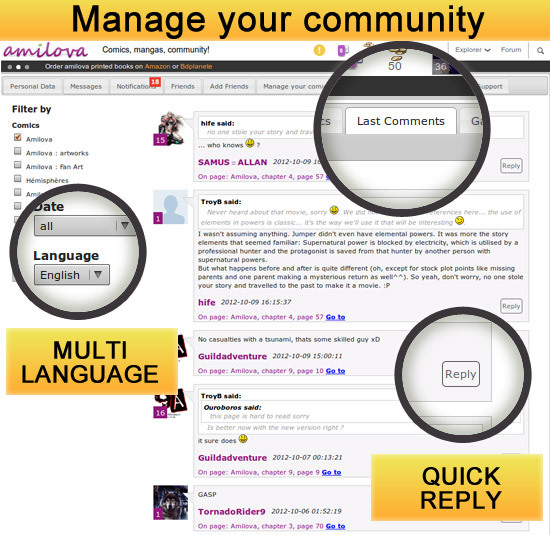 By being on Amilova.com, you'll have a access to all our powerful tools to manage our comics and your community with a comment dashboard to moderate and reply to your fans. How to publish a comic?